Conference pamphlet for Michael Faraday: The Experimental Life, a conference on Michael Faraday with an associated exhibition of books and scientific instruments. Hosted at St. John's College in Annapolis, MD from March 30 - April 1, 2001. 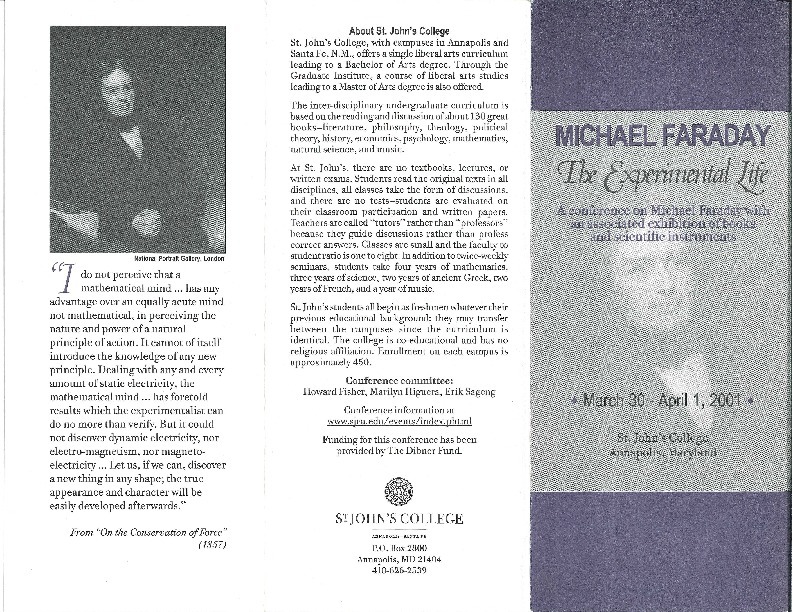 “Michael Faraday: The Experimental Life ,” St. John's College Digital Archives, accessed April 21, 2019, http://digitalarchives.sjc.edu/items/show/6532.